If you’re looking for a new ride, our dealership is a great place to go for luxury and performance.  Thanks to our knowledgeable, friendly staff, and a long list of exciting BMW models, it’s easy to get the car you’ve always wanted at our East Hampstead BMW dealership. To help everyone around East Hampstead, NH, understand our services and how we can get you behind the wheel of a new BMW, we’ve put together this informative article detailing our extensive inventory and other helpful features like financial assistance. East Hampstead, NH, is described as both traditional, and scenic. The charming appeal of this town stems from either the rows of antique colonial homes, or from the peaceful lakeside views. Either way, spending time in East Hampstead is like spending time in a picturesque postcard. While the discreet nature of this town is one of its most attractive features, it’s location places it at the center of opportunity. With Boston, Concord, and the Atlantic Coast all within 40 miles, East Hampstead is nestled between the type of bustling activity that complements the towns unassuming charm. So, whether you’re taking a trip to the coast, or looking at the sights in East Hampstead, NH, our BMW dealer can offer you an enjoyable, luxurious ride. In order to help you find the ideal BMW, we need to have a lot of options. Thankfully, our dealership is flush with a variety of luxurious BMW models. If you’re looking for a BMW with an extreme mesh of performance and handling, you should start with the BMW i8 Coupe. This powerful sports car is fun to drive and has a striking exterior. You also can enjoy luxury and performance in a car that fits the whole family with the new BMW X3. This reliable ride offers versatility while maintaining that classic BMW style. If you’re looking for something in-between these two models, the BMW 530e Sedan is a fantastic option, offering efficiency, power, and a bold design. If you have any questions on these, or any of our other BMW models, we have a team of professionals ready to offer assistance. Our experts will help you get a better look at the performance and technology features of all our BMW vehicles, so you can choose the car that’s best for you. And once you’ve found the right fit, we make financing simple. By streamlining the financing process to better suit your needs, it’s easier and quicker to create a plan that works for you. After filling out an application, our team of financial experts will work with you to identify the best payment options. At our BMW dealership near East Hampstead, we’re capable of working with all different types of credit, so the approval process is enjoyable. Overall, we want to make financing your BMW as simple as possible. Decisions like leasing or buying, or creating a payment structure, can all be settled after conversing with our team. Our assistance doesn’t end after you drive home in your new BMW, either. We offer a wide range of services to make sure your car stays in great shape. Our advanced service shop is run by a team of trained, experienced technicians capable of handling both minor and major repairs. We also have a wide variety of BMW parts if you need a replacement. To help make routine services more convenient, we have BMW FastService®. This option allows you to pop into the garage, so we can quickly execute services such as oil changes or individual tire replacements. Visit Your Hampstead BMW Dealership Today! Thanks to a long list of exciting BMW models, and a knowledgeable team ready to answer your questions, our dealership is a great place for everyone around East Hampstead to shop for a reliable and luxurious new car. Plus, we have a state-of-the-art service center that can help make sure your vehicle runs like new for as long as possible. If you’re looking to get behind the wheel of a BMW near East Hampstead, NH, schedule a test drive online, or contact BMW of Stratham today!